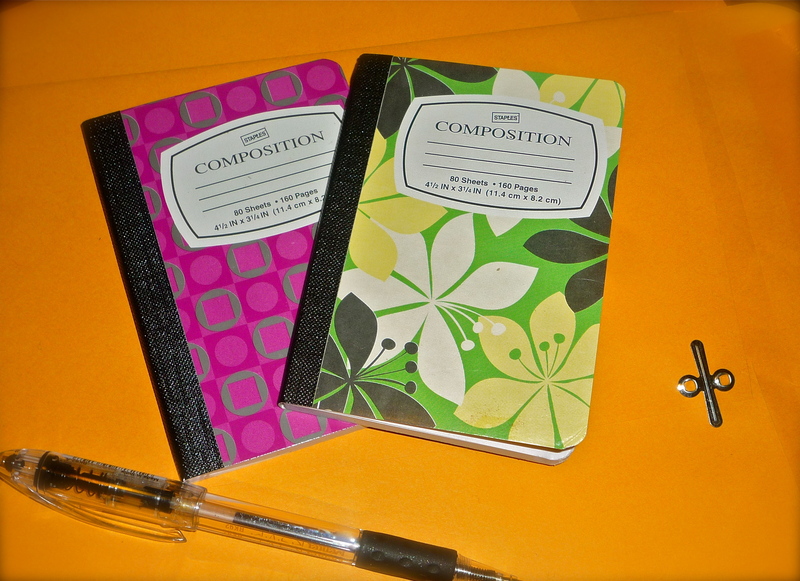 These mini composition books are an unexpected treasure I found at Staples. "Floral Surf" Mini Composition Books from Staples. I stopped in to grab some manila envelopes (which can be super stylish with a black sharpie and some funky handwriting), and I saw these adorable little books. They come in a two-pack and are less than $5! I had seen some similar ones in a boutique for four times as much just a few days ago. I love little notebooks like this; they are perfect for capturing those random creative thoughts. Plus they’re so cheap you can throw one in your purse, one in your top desk drawer, one in your nightstand and any other place your heart desires. These are the “Floral Surf” design, they had several others to choose from.